So it's been a while since I just did some local fishing from the shoreline. This is one of my favorite times of year to be out (when the weather is mild). Hit a local pond that has a mix of Bass, Yellow Perch and White Bass. The perch were active right away, but the bass hadn't moved into the area I was fishing during the mid day. Around 4:00pm the bass moved in and I was able to connect with this one. 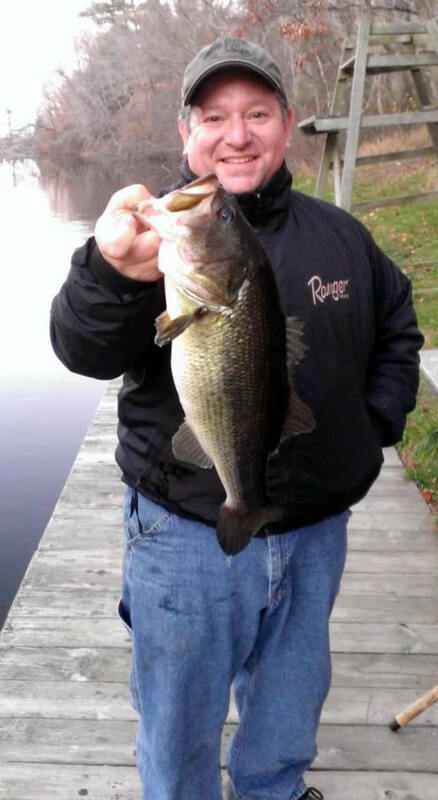 Not a giant, but certainly a nice late fall bass that I'd estimate a bit over 4 lbs. Caught on light tackle with a 1/8" crappie jig head and a chartreuse grub. 6lb fluoro on a med-light spinning rod. Anyone else been getting out there from shore? nice catch for so late in the year. congrats. Thanks Mark... Heading out again today.